This article first appeared in the Winter 2014 issue of Ottawa Magazine. 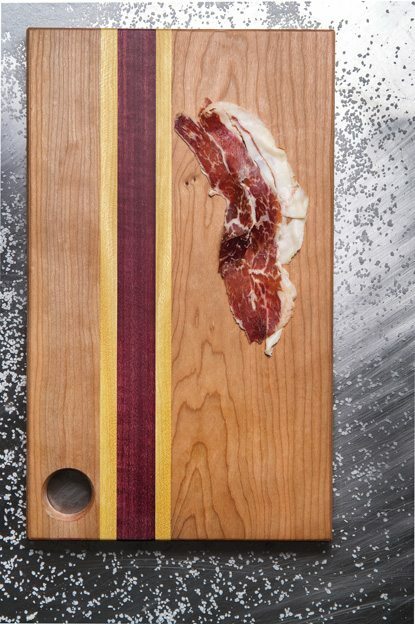 A plate of sumptuous charcuterie is a treat any way you slice it. But if you’re looking to increase the decadent factor at your next dinner party, jamón ibérico is a must. This rare cured ham is made in Spain and Portugal from the meat of special free-range pigs — pata negra, named for their black hooves. The animals roam freely through the forests and fortify themselves mostly with fatty acorns. The salt-cured meat follows a highly regulated aging process, often drying for up to four years. It’s pricey, but jamón ibérico is worth every penny: it is beautiful to look at and emits a rich, nutty aroma; on the palate, the taste is intensely salty-sweet. The creamy, acorn-enriched fat literally melts in your mouth. Be sure to enjoy it at room temperature, not chilled, with some simple bread and a splash of good olive oil. A robust Spanish red would pair well, as would a sherry, but a crisp beer will do just fine.